The early afternoon sun beams down over Villa Great Escape in Grand Cayman as you set up a picnic under the private cabana. A refreshing breeze sweeps over the beach, and you call the kids out of the clear Caribbean water for lunch. With the soft white sand beneath your toes, you listen as the kids recite the island’s tales of pirates and privateers; a blend of folklore, fantasy, and history. After days spent exploring shipwrecks and elaborate reefs filled with bright tropical fish, you wonder how you will ever convince them to leave the island at the end of the trip. Then you realize, you don’t ever want to leave Grand Cayman either. 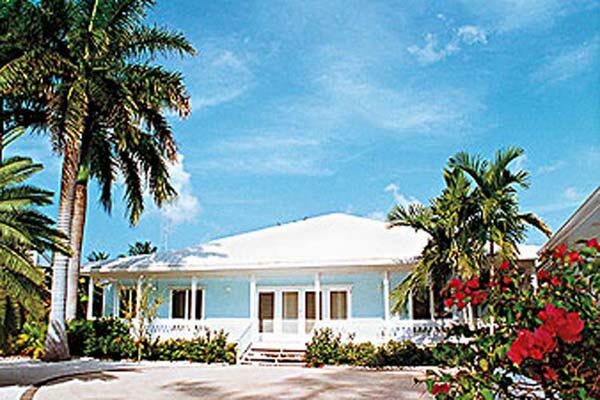 Located beachside on Cayman Kai Beach, the whole family will love Villa Great Escape. Located in the exclusive residential and resort area of Cayman Kai, Villa Great Escape is idyllically nestled in a private cove, allowing for peace and privacy. This four-bedroom home is perfect for a Caribbean family vacation, providing space and comfort for every member of your family to enjoy. Beautifully landscaped with tropical flowers and palm trees, this beachfront villa is only footsteps from the warm Caribbean water. After a day exploring the wonders of Grand Cayman, take an evening dip in the refreshing water of the pool and splash around with the family before retreating inside to sleep in the comfortable cool of the Caribbean night. Conveniently located, Villa CM GRE is only a short drive from fantastic restaurants and shops. Enjoy creative Caribbean cuisine at Kaibo Bar & Grill right in Cayman Kai or take a drive to The Wharf Restaurant & Bar and feed the tarpon. With a ring of the bell, kids can call the shimming, four-foot-long fish to the dining area and watch the tarpon devour their dinner scraps; a truly unique and memorable experience. Discover all Grand Cayman has to offer.